Spain knows how to attract tourists year after year after year. That’s why the exchange rate shouldn’t affect your home in Spain. For those of us who love the scream of an engine and the heady aroma of petrol, there was exciting news from Spain this month with the announcement that a new theme park, Ferrari Land, will be making its home in Spain’s Costa Dorada in 2017. The €100 million development will include the highest and fastest rollercoaster in Europe, speeding the screaming thousands at up to 180 kilometres an hour. 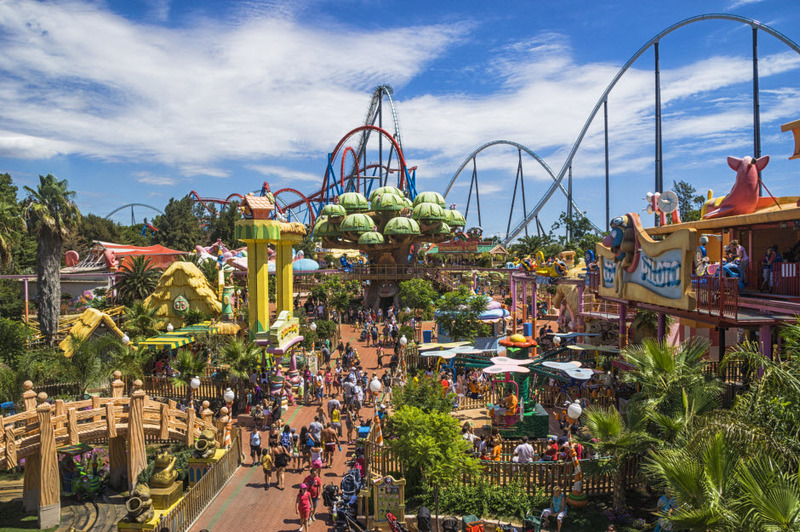 It will be part of PortAventura, a theme park that already attracts four million visitors each year with the British the biggest fans. With the buzz around Ferrari Land, Spain proves that when it comes to tourists it’s “forever land”. Spain understands what tourists – and holiday homeowners – want. France may get marginally more overseas visitors in total, but Spain is second only to Florida in creating purpose-built facilities that keep us coming back year after year. That means two things, firstly, you’ll never be bored in your home in Spain, and secondly, it is unlikely to lose much in value. Which is why the current turmoil in the currency markets should not put you off buying. Of course, we would all like to buy at the bottom of the property market and the height of the currency market, but the chance of doing both are remote. Right now, property prices in Spain are rising on the coast and in the city-centre hotspots of Barcelona and Madrid. Those who bought a Spanish home year or two ago might have enjoyed a better exchange rate, but lost that in falling capital values. Wait a year and the pound might have recovered a little (although you have to ask why moving closer to Brexit would do anything but hit the pound adversely) but property prices could have moved out of reach. There is another reason why Spain scores compared to other countries when the pound falls. There is a revolving door of British people coming and going to Spain. The processes of buying and selling your home in Spain are simple (to see how you can buy a home in Spain, download the guide from Property Guides , the country is close enough that we tend not to break our ties with the UK home, and when we can’t hit a decent tee shot any more it’s easy enough to come back. Buy from a British seller repatriating his euros to the UK and they may well be willing to take an offer. So don’t be put off by a falling pound. Rev up those engines and start the processes of making your Spanish adventure come true.